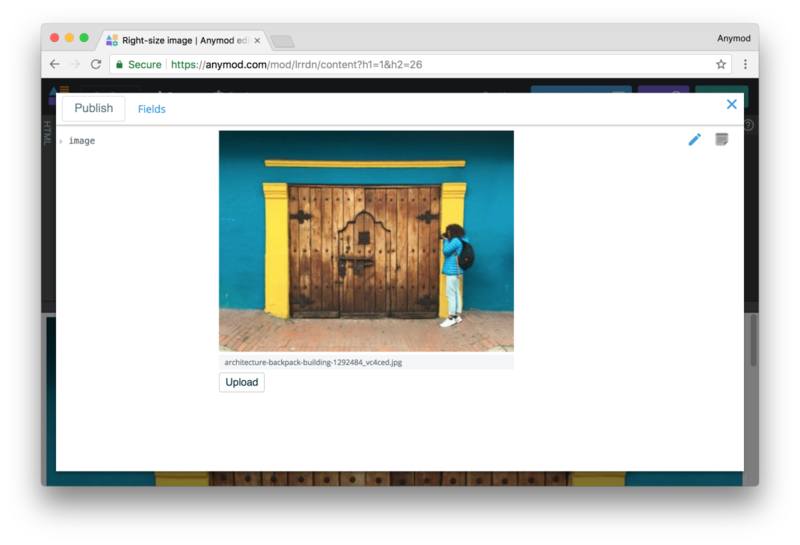 In this example, we'll use Anymod's built in buildImage method to always size an image to match the width of a visitor's browser window. This means large screens will see a high-resolution image, while smaller screens will see a scaled-down version of the same image. 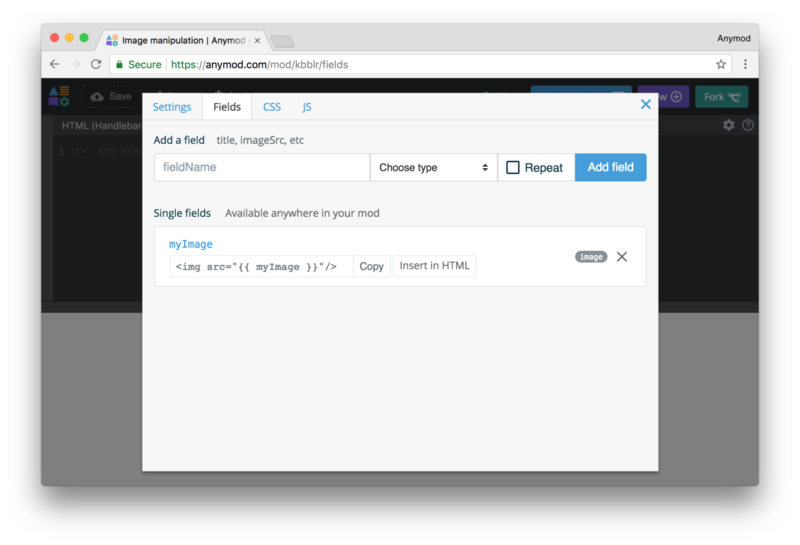 With this approach, we can have high-resolution when needed but also have fast page loads on mobile devices. Click Settings at the top of the page, then visit the Fields tab. Any rules defined in the mod's CSS panel will apply only to the mod and not to other elements on a web page. In this case, the only img element affected will be the one in this mod. The final result is an image that is a different size based on the width of the browser window. 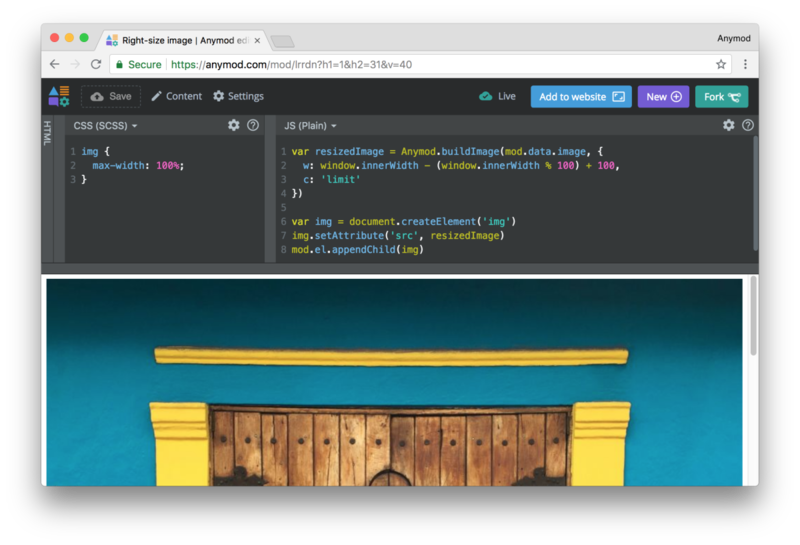 If the window is 1200px wide, the image will be 1300px wide. If the window is 420px wide, the image will be 500px wide, and so on.